What is Pluryal Meso 1? 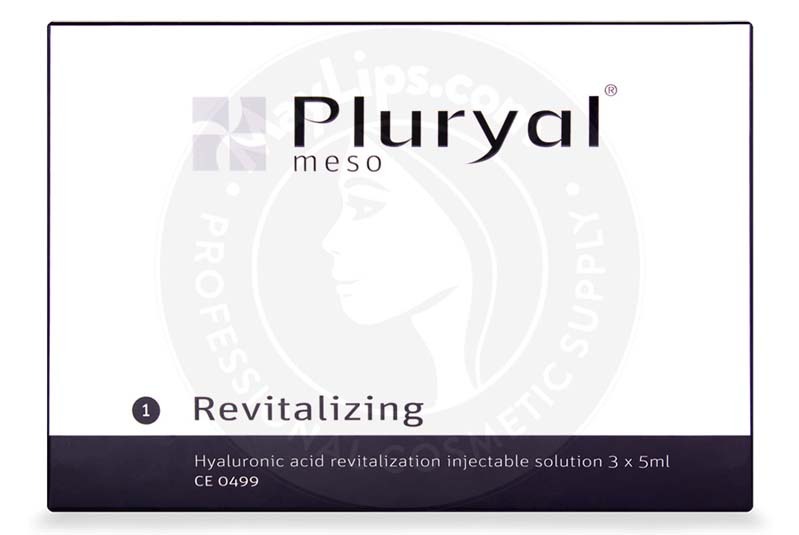 Pluryal Meso 1 is a sterile and transparent injectable solution that hydrates the skin from within. Made with hyaluronic acid fragments and an amino acid complex, this unique mesotherapy treatment safeguards and restores the skin’s youthful texture. This skin booster is suitable for patients between the ages of 20 and 40 who wish to protect their skin from signs of damage and ageing. Generally, the filler may be used on the face, neck, decolletage, and the backs of the hands. This dermal filler is part of Croma Pharma's Pluryal Meso line of products. Comprised of 2 unique formulas, this collection may be used to tighten or revitalise the skin. 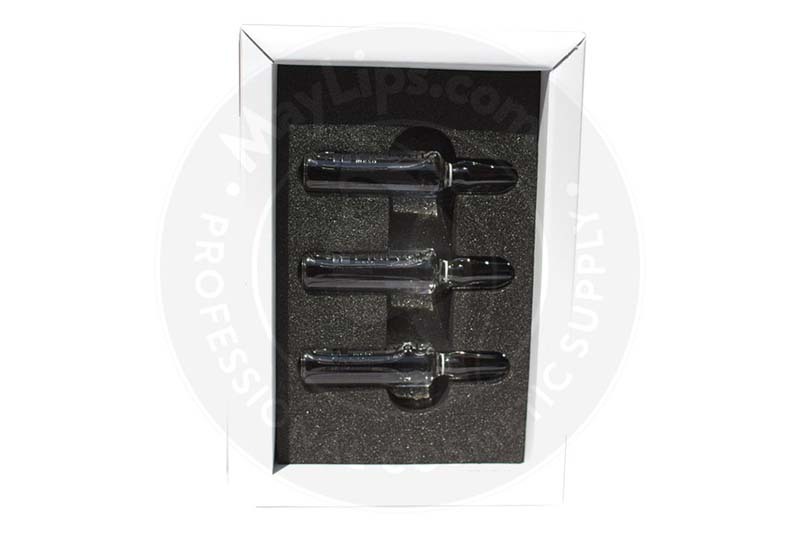 Each package of Pluryal Meso 1 contains 3 prefilled 5ml syringes. Please note that this filler should be stored between 2 and 25°C and out of the reach of children. 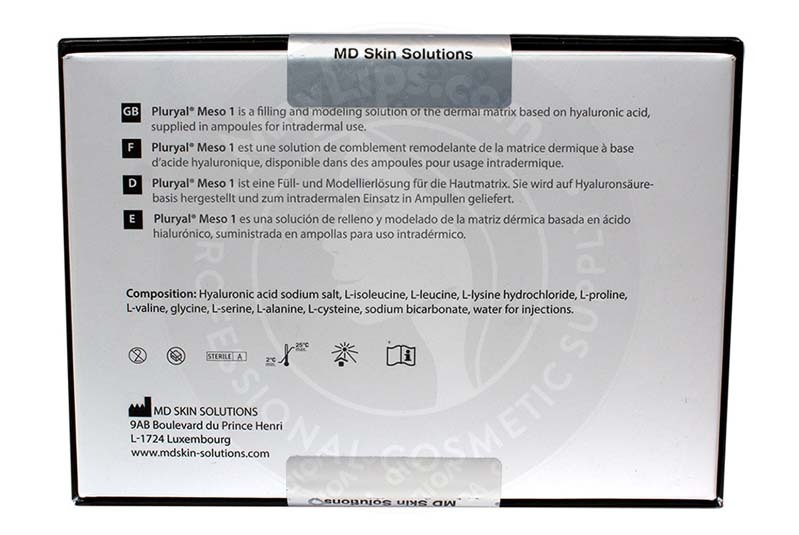 Pluryal Meso I is indicated for the reparation, protection, and rehydration of the dermis. Specifically, it is meant for use on patients between the ages of 20 and 40 who are experiencing minor skin issues, such as dryness, but who do not yet have severe wrinkles. Although it cannot treat deep facial lines, this formula is an excellent weapon against environmental damage and premature ageing. This injectable solution is a form of mesotherapy, in which the treatment is injected into the subcutaneous fat. Generally, this type of procedure is used to rejuvenate the skin, offering deep hydration to the treated area. Pluryal Meso 1 makes use of a unique BioFACT process, which is involves the injection of powerful active ingredients into the skin. Namely, these constituents include hyaluronic acid and amino acids. Hyaluronic acid is a major player in maintaining the skin’s moisture. With its innate ability to bind to water molecules at the cellular level, it increases the dermis’s water content, adding volume and hydration to the skin. Meanwhile, amino acids act as the building blocks of the skin. Upon injection, they strengthen the skin, improve wound healing, and protect the skin from damaging free radicals. Only trained, licensed practitioners may administer Pluryal Meso 1 injections. These individuals should be proficient in mesotherapy treatments and have an advanced understanding of human anatomy. This will prevent the occurrence of any unwanted complications both during and following the procedure. Before beginning the injection process, disinfect and cleanse the skin according to aseptic clinical guidelines. Then, apply Pluryal Meso 1 across the area to be treated with a series of microinjections. This may be done using a mesotherapy gun, an automatic injector, or a fine needle. Initially, this dermal filler should be injected in 4 sessions at weekly intervals. This should then be followed by 2 sessions at monthly intervals. Finally, 1 session should occur every 2 to 6 months, based on the patient’s reaction to treatment and the quality of their skin. After treatment, ensure that any used needles and remaining product have been disposed of properly. How long does this dermal filler last? The longevity of Pluryal Meso 1 injections will vary for all patients based on their age, lifestyle, and skin type. However, after the initial injection period has been completed, the effects of Pluryal Meso 1 may last from 2 to 6 months. Although Pluryal Meso 1 is generally regarded as a safe and effective product, it should not be used in certain patients due to existing contraindications. For instance, pregnant and breastfeeding patients, as well as those under the age of 18, should not be injected with this solution. It should not be used in patients with a history of streptococcal disease, hypertrophic scarring, or immune disorders. Additionally, patients who are hypersensitive or allergic to hyaluronic acid or other ingredients in Pluryal Meso 1 should not undergo this treatment. Please note that special care must be taken to use proper injection techniques. This dermal filler should never be injected intravenously, or into areas that are inflamed or infected. Moreover, it should not be used concurrently with laser treatments, dermabrasion, or chemical peels. Generally, most patients respond very well to treatment with Pluryal Meso 1. Some minor, inflammatory reactions have been known to occur, although these are often easily resolved. If any serious adverse effects are experienced, patients should seek treatment from a medical professional. What is this filler made of? Pluryal Meso 1 contains hyaluronic acid, a compound that naturally occurs in the skin, joints, and tissues of the human body. Most notably, hyaluronic acid is a powerful hydrating agent, as it is able to bind to 1000 times its molecular weight in water. As such, it is extremely effective in adding moisture and volume back into the skin, helping to maintain optimal levels of hydration. Throughout the ageing process, the skin loses its natural levels of hyaluronic acid, leading to dehydration and sagging. To prevent and restore this loss of moisture, hyaluronic acid may be injected directly into the skin. This filler is also comprised of amino acids. These small but powerful organic compounds are the building blocks of the proteins within the skin, helping to support its natural function. Additionally, certain amino acids have antioxidant effects, allowing them to ward off harmful free radicals. With this, the skin is protected from potential environmental damage and premature ageing. Ingredients: Hyaluronic acid sodium salt, L-isoleucine, L-leucine, L-lysine hydrochloride, L-proline, L-valine, Glycine, L-serine, L-alanine, L-cyteine, sodium bicarbonate, water. Size: 3 x 5ml vials. Also Included: For each vial, the box contains two traceability labels , packaging insert.